Every year, about 18 thousand people in Ontario sustain a brain injury. Due to advances in medical treatments and technology, many now survive a brain injury who would have previously died. However, the costs of care for a brain injured person can be astronomical, both financially and emotionally, and family members often play a substantial role in care and recovery. Taking into consideration the costs to public health care, insurance, workers compensation and private individuals, if we prevent just one serious brain injury today, we would save over $90 million dollars over the lifetime of the injured person (according to the Brain Injury Association of Waterloo-Wellington). Many of the financial costs are covered by the provincial health care system, including the costs of neurosurgery, medical care during coma or a low-level state, and extensive periods of therapy. Also to be considered is the cost of unemployment or under-employment, and the loss of productivity. In Ontario, the vast majority of people who sustain a brain injury never return to fulltime employment - statistics suggest that 8% of men and no women return fully to the workforce. After receiving acute care in a hospital, patients generally undergo rehabilitation treatments in a rehab centre and for those who are able, treatment often involves re-learning simple actions such as walking, eating, getting dressed, bathing and talking. Once patients are discharged from the rehab center, they commonly participate in out-patient treatments and therapy, and many rely on family members to take them to and from appointments. When no more rehab appointments are scheduled, persons recovering from brain injury may require help with day-to-day activities such as cleaning, cooking and transportation, as well as psychological counselling, pain therapy, occupational therapy and other treatments. Brain injury is a chronic condition and many survivors suffer from some of the same cognitive, emotional and physical challenges. For example, many brain-injured persons experience chronic pain, depression, difficulty concentrating and memory problems. Yet, every brain injury case is unique - the symptoms and injuries manifest differently for each person and recovery times vary as well. Due to the complex needs of people living with a brain injury, their needs generally cannot be met by the limited resources available in non-specialized programs. Unfortunately support services for people with acquired brain injury have not been developed in Canada at the same rate as life-saving technologies. The majority of public health funding is dedicated to acute care and short-term rehabilitation (according to Brain Injury Association of Waterloo-Wellington). Brain injury survivors and their families struggle with the impact of the injury for a lifetime, yet have access to only a fraction of the total amount spent on resources for rehabilitation and counselling programs.. The financial and societal costs are only part of the picture. A brain injury has a devastating impact on the family of the sufferer, from the moment the injury happens. The change for families begins during the crisis stage when their loved one receives acute care in the hospital and family members wonder if the patient will live or die, or ever return to be the person they once were. After their loved one survives the acute care stage and completes inpatient rehabilitation treatments, families must adjust to the ‘new normal’ way of living, which focuses on helping the survivor to reach their full potential and family members accommodate treatment into their daily routine (according to the Ontario Brain Injury Association). This last stage often lasts for decades or for the rest of their lives. 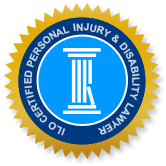 The Kitchener-Waterloo personal injury lawyers have helped many brain-injured accident victims and their families to obtain the compensation they need to facilitate optimum recovery and financial security. If you or a loved one were injured and you wish to claim damages against a negligent party, call us to discuss the unique circumstances of your case and learn how we can help resolve your claim as efficiently and favourably as possible.